Copenhagen Whole Hog Giveaway - 29,150 Winners. 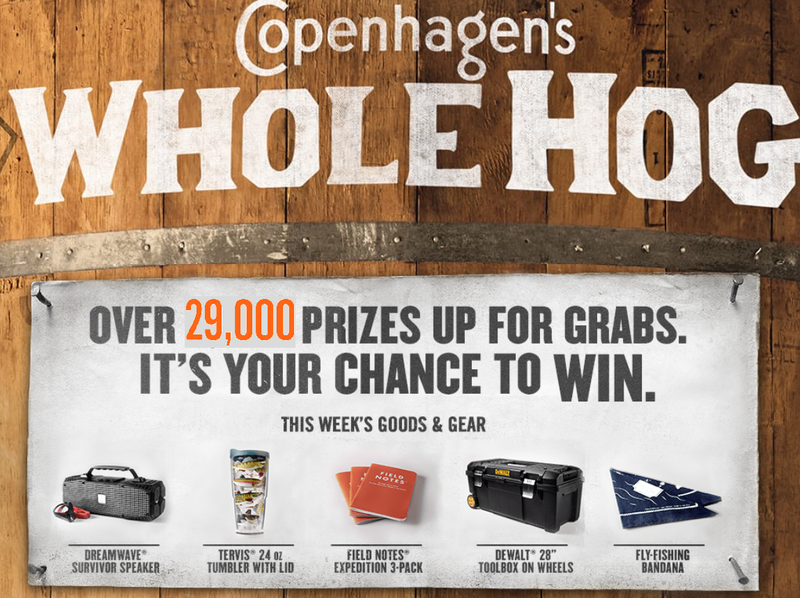 Win Carving Boards, Tervis Tumblers, Mugs, Multi-tools, Sunglasses, Screwdriver Sets, Flasks, Carhartt Hats, Backpacks, Speakers and More. Daily Entry, Ends 4/28/19. Void in MI and MA. WILL DEFINITELY HAVE A LOT OF WINNERS IN THIS ONE, GOOD LUCK! !